We are involved in providing our clients with premium quality deflection of beams apparatus, advanced beam testing apparatus and torsion of bars for checking strength of the materials. All the apparatus are highly capable. strength of material lab, civil engg. 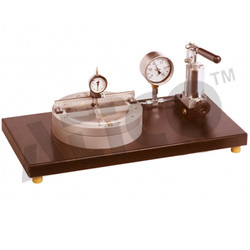 lab equipments, mechanical engg lab equipments trader, our new product, advanced technocracy inc. Looking for Strength Of Materials ?